A GPT is a core breakthrough technology that performs a general function, and many applications are built on top of it, forming the basis of economic development for decades or centuries. The steam engine was a GPT: it spawned the industrial revolution and fundamentally altered the trajectory of human development by providing a generic power function in quantities unfathomable before its advent. Just as the steam engine expanded human physical capacity, the semiconductor is expanding human knowledge capacity. Today, 47 years after the release of the first commercially available semiconductor, the outlines of our current GPT’s trajectory are emerging. Robotics, artificial intelligence and automation have been a recent beneficiary. Indeed, the research firm IDC predicts worldwide spending on robotics will reach $230.7B a year by 2021. But robotics is just the beginning. We can look to the “Internet of Things” movement – which IDC predicts will surpass $1T a year earlier, by 2020 – to see that the next waves of the knowledge revolution will hit every industry, in every geography. 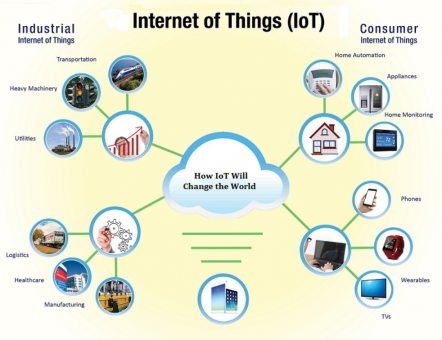 “Internet of Things” aims to connect every device on the internet to share data in one mass collaboration that will inform our smart cities, smart buildings, smart homes, smart transportation, cars, intelligent warehouses, intelligent energy grids, utilities, retail stores, healthcare, agriculture, security, education, factories and industry – to make life safer, more convenient, more efficient. Nowhere is this more visible today in our work than in the intangible investments being made by industrial and manufacturing firms. The Industrial Internet of Things Consortium heralds a future of smart factories deploying knowledge toward new levels of productivity that were unfathomable before the knowledge revolution. Co-founded by AT&T, Cisco, GE, Intel and IBM, IIoT is busy establishing open standards for all of business. They’ve already launched test sites of smart factories at Stanley Black & Decker, smart oil fields at Shell, smart mines at Rio Tinto, blockchain-optimized supply chains at Maersk, sensor-driven supply chains at Boeing, smart factories with sensors and wearable safety gear at Airbus, and autonomous vehicles at Caterpillar, Komastsu, and John Deere. As The Washington Post wrote, Google didn’t lead the self-driving vehicle revolution. John Deere did. So with nearly half a million robots installed on factory floors in nearly every industry and every region of the world, Fanuc is in a unique position to illuminate the future of the knowledge revolution. Fanuc spends 7.3% on R&D as a percent of sales, more than any industrial machinery company in our universe of 3,000 companies in the developed and emerging world. This is a company committed to innovation. For all these reasons, the $50B world leader in factory robots makes an interesting subject for our analysis in a Knowledge Leader spotlight. Fanuc’s industrial robots, as Bloomberg reports, “assemble and paint automobiles in China, construct complex motors, and make injection-mold parts and electrical components. At pharmaceutical companies, Fanuc’s sorting robots categorize and package pills. At food-packing facilities, they slice, squirt and wrap edibles.” At Fanuc’s headquarters in Japan, 22 windowless factory buildings house robots busy 24/7 making other factory robots, in the dark. The firm has 243 global service centers ensuring those robots stay online, and that urgency to keep robots working is where we discover the core of Fanuc’s innovation strategy. 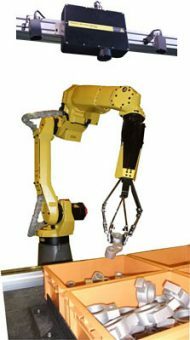 In 2015, Fanuc – in collaboration with Cisco – launched the “Zero Down Time” app to electronically track networks of factory robots. Using sensors and cloud-based analytics, the app can predict when failure is imminent. Fanuc estimates it has saved customers $40M in downtime in the first couple of years of early implementations. But Zero Down Time looks like a temporary solution, because Fanuc has bigger plans. 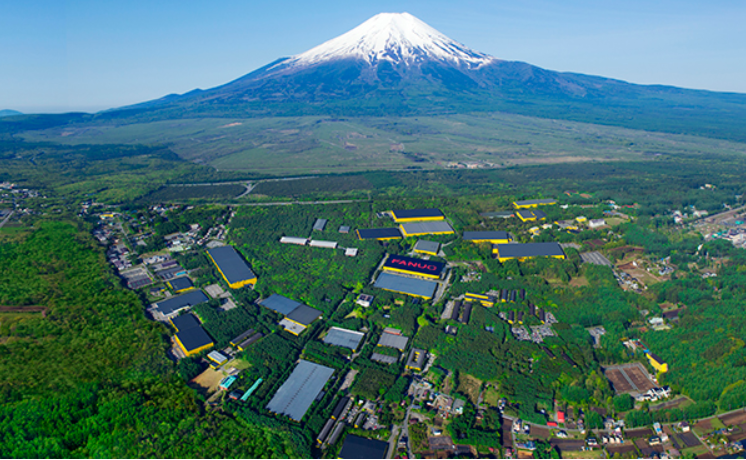 It is Fanuc’s “FIELD” system that illuminates the promise of the Internet of Things and is drawing global interest from partners, industry watchers and futurists. 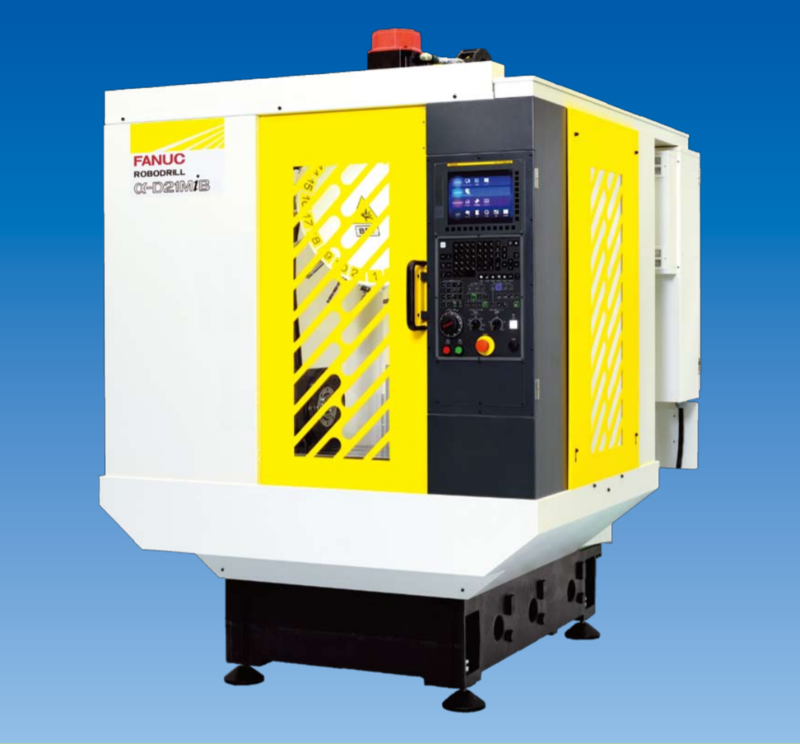 With FIELD – an acronym for Fanuc Intelligent Link and Drive system — Fanuc aims to create a smart manufacturing revolution on the factory floor. An open platform, FIELD connects every point of the factory to the cloud, collecting information from the global network of manufacturing robots and assembling the collective trail-and-error results into self-teaching robots. A bin-picking robot, credit: Fanuc. For jobs like bin-picking, which traditionally require time-consuming human programming, Fanuc’s robots now can use AI to learn to do the job themselves. After about 8 hours of trial-and-error picking, the robots can achieve 90% accuracy. That’s about the same amount of time it would take a human to program it to the same level of accuracy, and robots can do their learning overnight. The benefits begin to add up when the robots work together as a team. Using distributed learning — where the trial-and-error lessons learned are shared among a team of robots, accuracy can improve much faster. The trend is called “cloud robotics.” In April, Fanuc announced it was applying machine learning to all three lines of its business. In one project, Robodrill, Fanuc’s biggest seller famous for drilling every metal iPhone case since the iPhone 4, improved accuracy by 40% as a result of machine learning. In Japan, other companies are scrambling to follow Fanuc’s lead in an effort to deliver on Japan’s Society 5.0 (the country’s vision for a human-centered society that balances economic advancement with the resolution of social problems by integrating cyberspace and physical space). Earlier this year, Fanuc announced a joint venture with Hitachi and Preferred Networks to develop intelligent systems that use AI between the cloud and devices. And last month Nikkei reported that Japanese rival factory robot makers Mitsubishi Electric and DMG Mori will connect their own robot platforms to Fanuc’s FIELD system. For comparison, while Fanuc spends 7.3% on R&D as a percent of sales, Mitsubishi Electric and DMG Mori spend 4.3% and 2.5% respectively. At Fanuc’s headquarters in Japan, shrouded in a forest of trees at the foot of Mt. Fuji, the company hosts Fanuc Academy, where global customers can send employees for training. 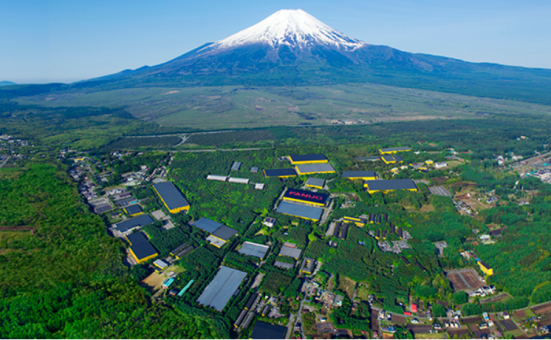 Fanuc’s investment in the future of AI and IoT suggests there is much more to come from the semiconductor’s GPT wave. Fanuc Village at the base of Japan’s Mt. Fuji. Credit: Methods 3D. As of 7/31/18 the following securities were held in the Knowledge Leaders Strategy: AT&T, Intel, Cisco Systems, Chevron, Rio Tinto, Royal Dutch Shell, John Deere, Stanley Black & Decker and Hitachi High-Technologies Corp. As of the same date, the following securities were not held: FANUC Corporation, the Technology Select Sector SPDR ETF, Diageo, Rio Tinto, Swatch Group, Shionogi, DMG Mori, Mitsubishi Electric, Caterpillar, Airbus, Boeing, Maersk, GE, and IBM. The VanEck Vectors Semiconductor ETF (SMH) was unchanged in premarket trading Friday. Year-to-date, SMH has gained 5.91%, versus a 6.87% rise in the benchmark S&P 500 index during the same period. SMH currently has an ETF Daily News SMART Grade of A (Strong Buy), and is ranked #16 of 67 ETFs in the Technology Equities ETFs category.